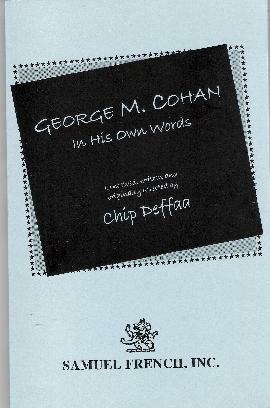 Published by Samuel French Inc.
GEORGE M. COHAN: IN HIS OWN WORDS is a full-length, two-act biographical musical, featuring 26 rousing Cohan songs, for a cast of 16 or more. Chip Deffaa's zesty script--based on the actual words of Cohan and his contemporaries--conjures up a golden era of show business. "[This] musical is s dandy... 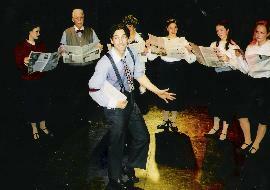 It is a terrific, surprisingly moving show [with] an amazing roster of Cohan songs, some familiar, some not.... A dynamically convincing picture of a man deeply attached to his family, his country and the footlights--and nothing else.... I recommend this wonderful, seemingly--but only seemingly--simple show." 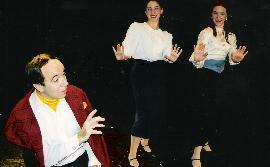 "Solid musical entertainment ... written and staged ... in George M. Cohan's style. Sarah Jessica Parker and Matthew Broderick's enthusiastic applause coincided with my hope George M. Cohan finds the future it deserves. Bravo! " "The best show in the festival. A passionate, revealing ... musical with a future." 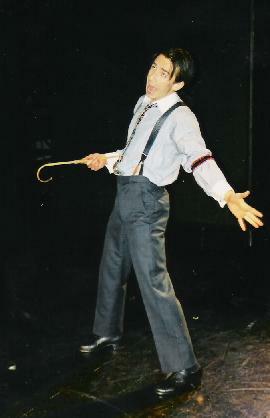 "My old friend George M. Cohan never looked and sounded so good!" "Will leave you with a huge, patriotic lump in your throat ... There's Cohan's timeless music ... [sung] with heartbreaking honesty." 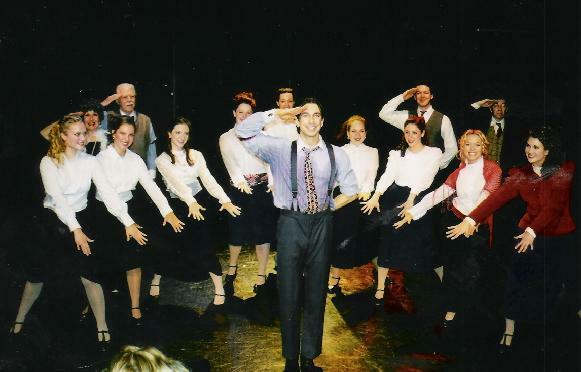 THE COMPANY OF THE ORIGINAL NEW YORK PRODUCTION: JON PETERSON (George M. Cohan); HAL BLANKENSHIP (Jerry Cohan); JOAN JAFFE (Nellie Cohan); DAWNE SWEARINGEN (Josie Cohan/Assistant Choreographer); MICHAEL TOWNSEND WRIGHT (Erlanger, Keith, etc. 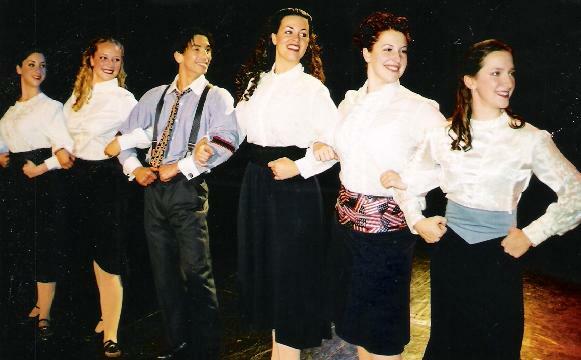 ); SUZANNE DRESSLER (Ethel Levey); STEPHANIE SAUNDERS (Agnes Nolan); JACKIE COMISAR (Faye Templeton); DANIEL SULLIVAN (Male Singer); Erik SCHARK (Sam Harris); ELLERY BAKAITIS (Young Actotr, Percy, etc. 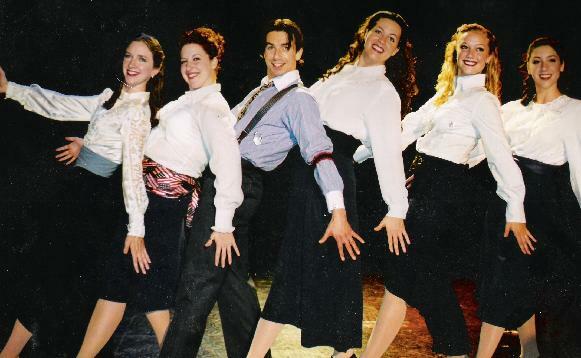 ); SARAH ANDERS, SARAH BELL, LAUREN BLACKMAN, SANDI HOYT, ANNA REBY (ensemble); JUSTIN BOCCITTO (Assistant Director/Choreographer); STERLING PRICE-McKINNEY (Musical Director/Arranger); KEITH BULLA (Assistant Director); HOWARD CRUSE (Graphics). The show is written for six males, five females, plus as many ensemble members as you choose to use. (Plenty of opportunities for dancing, too.) 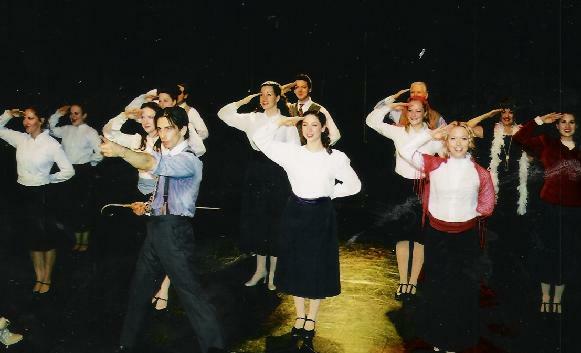 The original New York production had a cast of 16, but the show could be performed with as few as 12 people, or with as large a cast as desired. The whole company gets to join in on big numbers like "Grand Old Flag" and "Over There." The show works for audiences and performers of all ages. It has been produced successfully everywhere from upstate New York to the Texas heartland. 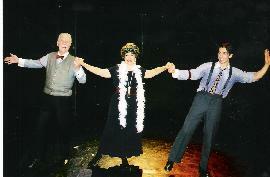 The oldest actor to portray Cohan in a production of this show thus far (in New Jersey, in 2011) was 83! 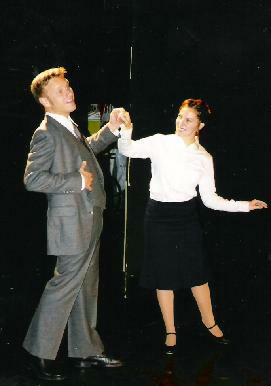 To see pictures of that production, please visit the page on this website titled "A Senior-Theater Production."